"That coupled with the fact the selection is dropped in class and the case for her is a compelling one." There's Open-class action at Kinsley this afternoon, and that contest at 14.57 provides bet number one, with OLWINN BELLA (T4) fancied to strike. The selection is well established at this level and a 27.37 trial performance was a very good opening stab at the track. On that evidence she has a bit in hand of today's rivals. Over to Poole, and PAMBOS (T6) can exploit an excellent make-up in 18.37 A8 contest. As the sole wide seed, Pambos will get plenty of room to operate and Kew Park Brae on her inside is often sluggish out of the boxes. That coupled with the fact the selection is dropped in class and the case for her is a compelling one. Continuing the theme of class-droppers, OPERATION MAN (T3) gets the crucial downgrade from A1 company and is expected to take full advantage in the 19.12 contest. Early pace is his asset, so it's come as little surprise that he's suffered a couple of heavy defeats of late when failing to get it right at the boxes, but if he gets that right, this is his for the taking. Want to know how these tips get on? 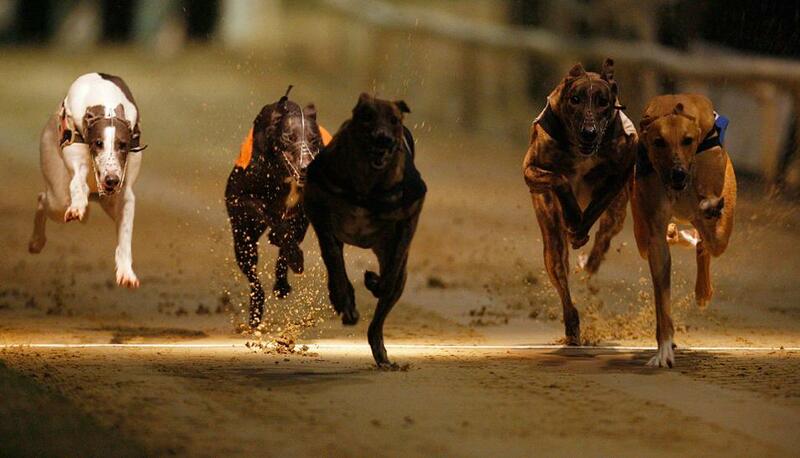 You can find today's greyhound results on the Timeform website.